At the Brampton Curling Club, we host an awesome event to try one of Canada's oldest winter sports - the Great Game of Curling! For 25 bucks, you get an intro lesson, 6-ends of curling, beer, and pizza on a Saturday Night. Come on out with 3 of your friends and sign up as a team of 4 or sign up individually and we'll introduce you to other folks. Space is limited, so register early. As all curlers say, HURRY HARD and Good Curling! We hope to see you there! Please dress warmly and CARRY IN a clean pair of running shoes. 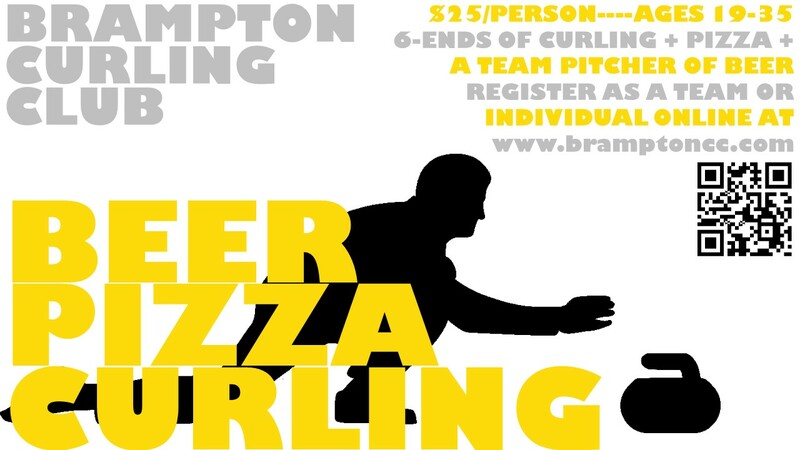 If you have never curled please arrive by 7:30pm for a quick instructional lesson. Payment must be received before event date to guarantee spot!